Ann scooped the loose tea leaves into the china pot that her mother had given her for her first wedding anniversary. Ann had been so anxious about the pot that she had only ever used it when her mother came for afternoon tea on Mondays. She poured hot water – not boiling, never boiling water for tea – over the leaves, the steam carrying the fragrance. Ann closed her eyes and inhaled. This was her favourite part of afternoon tea, the quiet ritual of preparation. Sighing, Ann carefully placed the teapot on a tray, alongside two matching cups and saucers. She checked her watch then added the milk jug to the tray and removed the cover from a cake plate. A Victoria Sponge that she had baked that morning. Mother would be scandalised if Ann ever served shop-bought cake, and of course it had to be fresh. “I’ll just be a moment longer,” Ann called over her shoulder. Carefully, she arranged a handful of flowers from the garden on top of the sponge. She picked up the tray but the trembling of her hands made the china rattle and she set it back down. This is ridiculous! You’re a grown woman, just go out there and tell her. Ann inhaled slowly, held her breath for a moment then let it out. She repeated these actions three times, just as her therapist had taught her. Her hands steady, she lifted the tray again and carried it through to the dining room. Without looking up, Ann cut a generous slice of cake and put it on a plate with a few flowers before sliding it across the table. “I know you don’t believe in divorce. I know you warned me when we got engaged so quickly. ‘Marry in haste, repent at leisure,’ you said. I know you expect me to lie in the bed that I made, but I have. And I might be able to stay there if Peter was lying in it too.” Ann tried to swallow the lump forming in her throat and risked a glance up. Her mother’s face was stern and unforgiving. Ann’s eyes prickled and she tried to blink back tears. She sipped her tea, trying to compose herself. “I know Daddy had affairs,” Ann said at last. “I know that must have hurt you but you didn’t leave him. I know you kept your vows even when he didn’t. Maybe I’m just not as strong as you but I can’t do it any longer. I’m sorry I let you down. I’m sorry I didn’t listen to you before I got married. I’m sorry I’m not a better person.” At the last, Ann dissolved into sobs. She stood up so abruptly that she knocked her chair over before running into the kitchen. She held a dishtowel against her face and cried until she was gasping. It was the first time she had cried since the day she had come home early and found Peter on the living room floor with his latest fling. Eventually Ann caught her breath, tears spent. She ran the dishtowel under cold water and dabbed at her puffy face. It soothed her and for the first time she felt free. She didn’t have to keep pretending things were fine. Now that she had told her mother that she was leaving, it seemed real – more real even than when she had met with a lawyer. Calm at last, Ann went back to the dining room and picked up the chair she had knocked over. She topped up her tea and cut a large slice of cake before sitting down. She ate a forkful, letting the sweetness fill her mouth, before looking up at Mother. Ann finished her tea and cake then cleared away the dishes, humming softly to herself. It was only when she was drying her hands that she realised that the tune was a lullaby that her mother used to sing to her when she was a little girl. She looked around the half-packed kitchen then spotted the bubble-wrap. Still humming, she grabbed the roll and some scissors then headed back into the dining room. She picked up the picture, gazing at the stern, demanding, loving woman who had raised her. “I miss you,” she said softly before packing the picture carefully away. 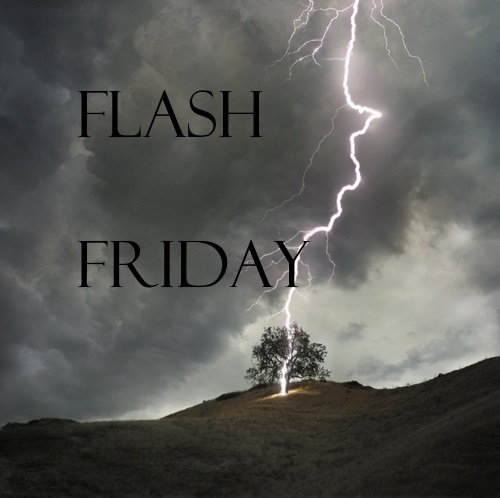 Thanks for reading the first Flash Friday of 2017. If you've enjoyed reading this story for free, please consider becoming a patron for as little as $1 a month. Receive digital copies of my flash fiction, sneak previews at upcoming work and more.